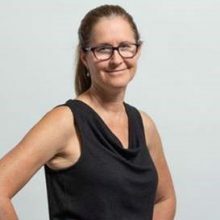 Carolyn Reynolds, MA, brings more than 25 years of proven success in policy and advocacy for global development to her role as PATH’s vice president for Policy and Advocacy. She leads a team of more than 40 staff across seven countries to apply PATH’s technical expertise, experience, and evidence to inform and improve policies, strengthen advocacy capacity, and increase resources to improve the health and well-being of people living in low-resource settings across Asia and Africa. In this role, she also serves as the senior executive in PATH’s Washington, DC, office and PATH’s principal representative to the US government and multilateral organizations. Prior to joining PATH in 2016, Ms. Reynolds was senior adviser and manager for external and corporate relations at the World Bank Group. In this senior position, she led the Bank’s strategic communications and policy advocacy efforts in global health, education, and human development. In earlier positions, she also shaped and led the expansion of the Bank’s global engagement with civil society organizations (CSOs). Previously, Ms. Reynolds was managing director for the US Global Leadership Campaign, where she led the successful Impact ’08 issue advocacy campaign to elevate global health, development and “smart power” as priority issues during the 2008 US presidential election. She also directed advocacy and legislative efforts for InterAction, and she served as legislative aide and acting Africa subcommittee director for the late US Senator Paul Simon (D-IL). She started her career in international development as a volunteer teacher in rural Kenya with WorldTeach and on a USAID-funded project to facilitate partnerships between US and African CSOs. Ms. Reynolds holds an MA in economic and political development from Columbia University and a BA from the University of Virginia.